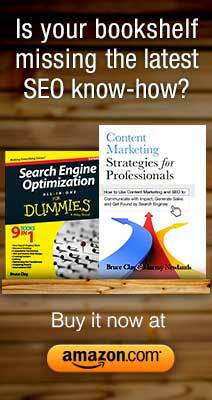 BruceClay - SEO Newsletter Volume 150 by Bruce Clay, Inc. Mobile SEO Pop Quiz: How Well Do You Understand the Google Mobile-First Index? After news of a mobile-first Google index, Bruce Clay tests your understanding of mobile SEO and user experience with a quiz. Google reaffirmed in a November 4 post on the Webmaster Central Blog that a mobile-first index is coming. While many have heard the news, many people may be confused by it. Are you clear on how a mobile-first index will impact your websites, clients and mobile SEO strategy? See how many of the questions on this eight-question quiz you get right. You'll also get our mobile-first checklists. As optimizers we are constantly looking for more value-rich data sources. Also known as UTM codes, tracking parameters or custom campaigns, Google Analytics tracking codes are custom tracking parameters that communicate granular information about how visitors interacted with your calls to action to arrive at your owned properties. Google announced that since mobile searches outnumber desktop ones, the search engine plans to switch to a mobile-first index. This means Google will rank search results ​based on the mobile version of web pages. ​There will be only one Google search index, and it will be based entirely on what the mobile Googlebot sees as it crawls sites. Responsive-design sites have the least preparation to do, since their mobile pages should mirror their desktop counterparts. If each page passes Google’s Mobile-Friendly Test, there’s likely to be little effect. If you have a separate mobile site (such as m.example.com), you have some work to do. Verify the mobile site with Google and confirm that Google can crawl its pages. Also make sure each mobile page contains the primary content the page is ranking for, internal navigation links, etc. It needs to be thorough enough to preserve rankings, especially to keep those long-tail search queries currently bringing traffic to the page. Google rep Gary Illyes reports that with mobile-first indexing, content in hidden UX elements such as accordions or tabs will be given full weight, since that type of interface makes a lot of sense on mobile. Bing, on the other hand, says it has no plans to change Bing’s search index, but will continue to ​index the desktop versions of sites. No word from Google on when the switch will take place. So now’s the time to prepare. With the new year, you’ll no doubt face new challenges in the turbulent waters of digital marketing. You’ll need solid and up-to-date SEO strategy to take advantage of changes instead of being capsized by them. We invite you to start 2017 strong, equipped with SEO know-how! Our classroom-style SEO Training courses are taught by experienced SEO trainers Bruce Clay and Mindy Weinstein. Gain confidence as you learn effective SEO strategy for reaching your website goals in light of the most recent changes in search. Thousands of students globally have taken our courses. Many return again and again to learn what’s changed and stay sharp as SEOs! Google announced two new leaders over its Google Cloud Machine Learning group. The two women are Jia Li, the former head of research at Snapchat (Snap Inc.), and Fei-Fei Li, formerly the director of Stanford's Artificial Intelligence Lab and the inventor of ImageNet. Twitter plans to discontinue Vine, the short-form video mobile app for Twitter, "in the coming months." The company says it will keep the website up to allow people to watch Vines and to let creators download their content. A source told The Verge that the announcement came with significant layoffs. Google Fiber is cutting 9 percent of its staff and changing course. The faster and lower-priced internet service currently avaiablle in eight cities has decided to halt its planned rollout to additional service areas. The company wants to develop advanced technologies that use wireless internet connectivity instead of underground lines. In addition, the head of Fiber and CEO of Alphabet's Access division, Craig Barratt, posted on the company blog that he is leaving his position but will continue as an advisor. Facebook acquired CrowdTangle, the tool that many large publishers and brands use "to win the internet" by monitoring which content is getting the most engagement across Facebook, Twitter, Instagram and Vine. On Dec. 6 and 7, the Digital Summit takes place in Dallas. Hailed as "the definitive digital gathering," this event features sessions on digital strategies, content marketing, start ups, design, user experience, analytics and, of course, search. Looking ahead to January, it's the first SEOToolSet Training of the year! Come learn Bruce Clay's SEO tactics and strategies. Take your digital marketing to a whole new level with our Standard and Advanced courses Jan. 16–20. Love search? Then don't miss Search Love. The conference, which focuses on analytics, organic optimization, content marketing and paid search marketing. Search Love comes to San Diego Feb. 23 and 24. If you're in the financial services industry, you'll want to check out the Digital Marketing for Financial Services Summit in San Francisco Feb. 27 and 28. Learn how to drive conversions, create loyalty and maintain a competitive edge at this niche-focused conference. The Digital Summit hits Phoenix Feb. 22 and 23. Fill your brain — and your professional toolkit — with the latest digital marketing tactics and strategies. Want to stand out on the search engine results page? It's not always about being No. 1. Earning a Featured Snippet is a proven way to earn more traffic. Case studies have shown an increase in traffic up to 70 percent from having a Featured Snippet on the SERP. Did you know you don't even have to rank No. 1 to earn the Featured Snippet? Bruce Clay, Duane Forrester, Virginia Nussey and Kristi Kellogg teach you strategies on how to earn Featured Snippets. The SEOToolSet is one of the most robust SEO tool suites on the market. Newly updated, the SEOToolSet provides more key data than ever before — and undercuts the market with a new, lower subscription price. Listen in as the people behind the tools discuss its new features, including SSL security, mobile friendliness and much more. Bruce Clay, Duane Forrester, Aaron Landerkin, Paula Allen and Virginia Nussey give you an insider's look at the SEOToolSet 6.1. Google recently debuted its new voice-activated smart​-home system, Google Home. Listen in as Bruce Clay, Kristi Kellogg, Paula Allen and John Alexander talk about what this means for the future of SEO. With voice search results, there's no such thing as ten blue links — there's one answer, and that means search marketers have to understand where that answer is coming from, and how to optimize their content so they can earn that single coveted spot. Later in the show, they'll also talk about the latest news making search and social headlines, including major announcements from Google and the latest in Snapchat ads. This week, Twitter announced new measures to curb abusive comments on the platform. While abuse has been a long-standing issue for users falling victim to hateful tweets, it recently became a bigger problem for Twitter as a company because it drove away prospective buyers. Twitter is tackling the abuse in three ways. First, Twitter will expand its mute feature to allow users to specify keywords, phrases, and even entire conversations that they don't want to appear in notifications. Reporting of hateful conduct will be easier and more direct, as well. Third, Twitter is providing ongoing training and more tools for its employees to use to enforce its policies. Google AdSense and then Facebook announced they will ban ads on fake news sites. The move doesn't restrict circulation of fake news, but it does prevent "pages that misrepresent, misstate or conceal information about the publisher, the publisher's content or the primary purpose of the web property" from monetizing their content with Google AdSense or Facebook Audience Network advertising. Google's Maile Ohye announced at SEJ Summit earlier this month that HTTPS is now required for PWAs and AMP. Until now, having a secure site was recommended; now Google is requiring HTTPS for some functionality. Google wants to make its machine learning technology easy for anyone to basically rent and use. According to Google Cloud's "Machine Learning Day" event yesterday, covered by MarketingLand's Danny Sullivan, ready-to-use ML models include Cloud Vision API, which offers OCR and recognition of faces, objects and logos; Cloud Speech API; Cloud Translation API, which can smoothly translate between eight pairs of languages so far; Cloud Natural Language API, for sentiment analysis and entity recognition in text; and Cloud Jobs API for job seekers and hiring businesses. Google also offered a way for people to explore machine learning: AI Experiments. Google's desktop search results no longer include sitelinks that used to appear in a row beneath a listing. Expanded sitelinks with descriptions can still appear though, usually for brand searches. This change brings the desktop SERP in line with mobile results' display of sitelinks. Bing Ads has rolled out expanded text ads globally, ending a beta period that began in August. Advertisers can create ETAs directly in Bing Ads or import their expanded-format text ads from Google AdWords. In addition, the process of creating a campaign in Bing has been improved. Bing Ads's new campaign creation workflow begins with choosing a marketing goal or importing a campaign, and then gives access to all ad features in a logical step-by-step flow. Google News added a Fact Check label that can appear in the expanded story box on news.google.com and the Google News & Weather app in the U.S. and U.K. The Fact Check tag adds to the list of other article tags Google News may feature: In-Depth, Opinion, Wikipedia, and Local Source. Publishers who want news content to qualify as a Fact Check should use the Schema.org ClaimReview markup. Google's Daydream VR headset went on sale last week, at a price of $79. The unit uses Google's Pixel phone for its screen, processing and sensors and boasts a more malleable and comfortable design than competing VR models have. Microsoft announced Teams, a new chat-based platform for Office 365 that enables teamwork through communication and collaboration in the secure cloud. Commercial customers with Office 365 Enterprise or Business plans globally can preview Teams now, with the product becoming generally available the first quarter of 2017. In response to Microsoft's announcement, competitor Slack took out a full-page ad in The New York Times to "welcome" Microsoft as a newcomer to its product category. Facebook changed the way its News Feed algorithm ranks news items. Previously, the ranking was done at Facebook's server and then sent to the user, which caused some latency on slow internet connections. To speed things up, the ranking of Facebook News Feed items is now down on the client side, on the fly as a user scrolls down their feed. And since the social network wants to keep things fast for the user, page load speed is an increasingly important ranking factor in the Facebook algorithm. Facebook has launched Masks, animated overlays similar to Snapchat lenses that can be applied to a Facebook Live video. Business pages can now set up a Jobs tab on Facebook that features open positions, in direct competition with LinkedIn. The Facebook Jobs tab can include hiring information such as job title, salary, and full-time or part-time; it also becomes a dedicated URL where businesses can send people interested in being hired. A ProPublica report found that Facebook's "ethnic affinity" filter, which allows advertisers to exclude people based on their "affinity" for a particular race, violates anti-discrimination laws. This prompted the Congressional Black Caucus to write a letter to Facebook demanding they stop offering targeting by race for housing ads, saying that it violates the Fair Housing Act of 1968. (Both Google and Twitter prohibit ad targeting based on race.) In response, Facebook announced that it will stop allowing advertisers to exclude ethnic or racial groups for ads related to employment, housing or credit. Mashable observed this is "the smallest necessary change"; Facebook also plans to move its ethnic affinity filter from the "demographics" section to "behavior." When Twitter's suitors all stepped away from the table in October, the social media company's market cap fell $3.5 billion lower than it was when acquisition rumors spread and CEO Jack Dorsey said he would accept offers. Disney declined to bid as did Google, Salesforce, and the other potential buyers, due in large part to Twitter's long-standing problem dealing with trolls and abusive commenters. YouTube's new end screens feature lets video producers overlay up to four elements in the last 5–20 seconds of the video. End screens can point viewers to another video, ask them to subscribe, or promote a product or website. Replacing the previous annotations feature that was available only on desktop, end screens work across all devices. Snapchat plans to raise up to $4 billion in an initial public offering. The IPO could value the company from $25 billion to as much as $40 billion, according to unnamed sources to Bloomberg Technology news. Microsoft announced a free Creators Update for Windows 10 coming in spring 2017. It will include futuristic new features focused on 3D creation that are tailored to gamers, according to EVP Terry Myerson. In addition, the hologram and virtual reality capabilities could help businesses enable people to interact with their products in revolutionary ways. The White House unveiled its plan to hand over the POTUS social media accounts to the next president of the U.S. in January. Whoever wins the election will inherit the POTUS handle on Facebook, Twitter and Instagram along with other social media accounts connected with the presidency. Barack Obama, who has the distinction of being the first president to use social media in his official capacity, will be given new accounts as POTUS44. Instagram announced new features for Stories. Boomerang turns a burst of photos into an animation that plays forward and backward. It's now possible to @ mention another user in a story (as people already can do in captions and comments). Most interesting to marketers may be the ability to add See More links to take users to additional content, though the links feature is launching as a test with only verified accounts. Snapchat launched world lenses that can overlay augmented reality images onto subjects other than faces, such as rainbow vomit coming from a cloud. Snapchat also added a couple Instagram-like features, the ability to rewind any snap or forward it to another user.